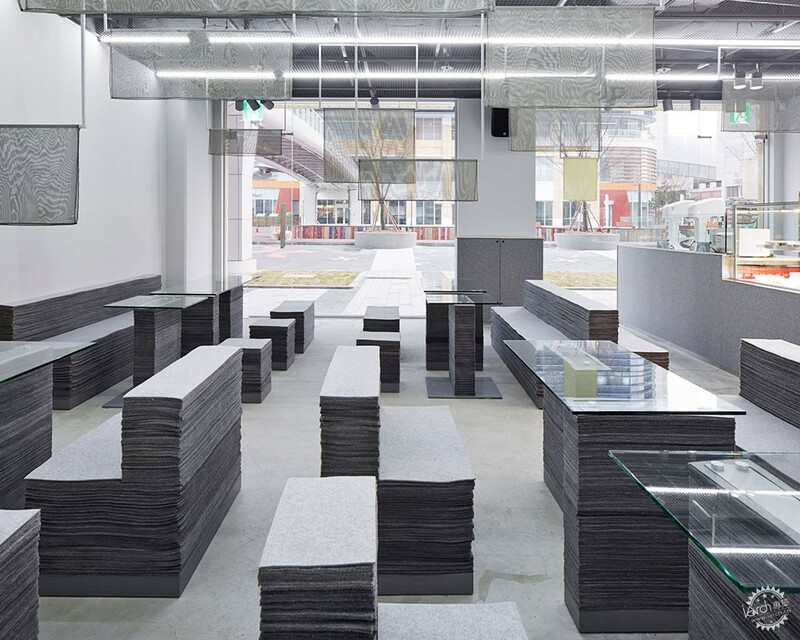 Nameless Architecture used layers of flat fabric to form the stools and benches inside this cafe in South Korea's Gyeonggi province. 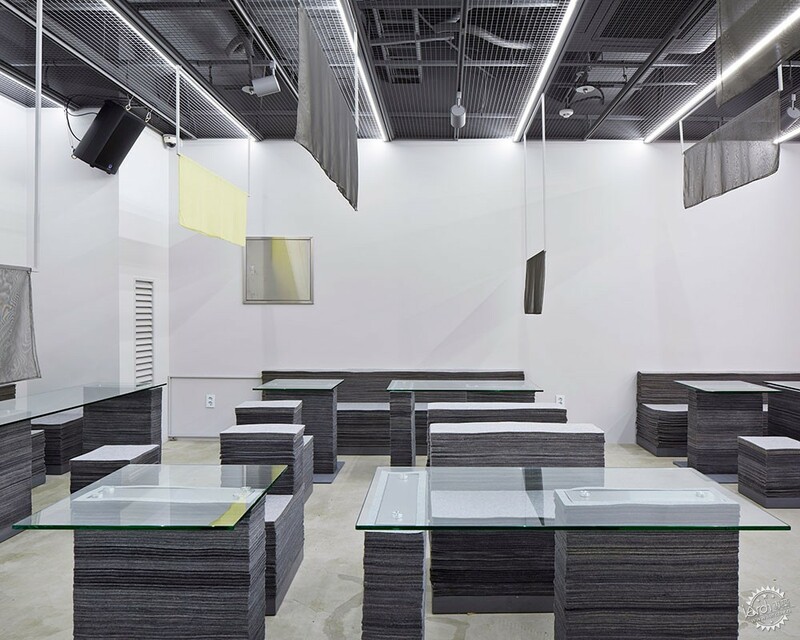 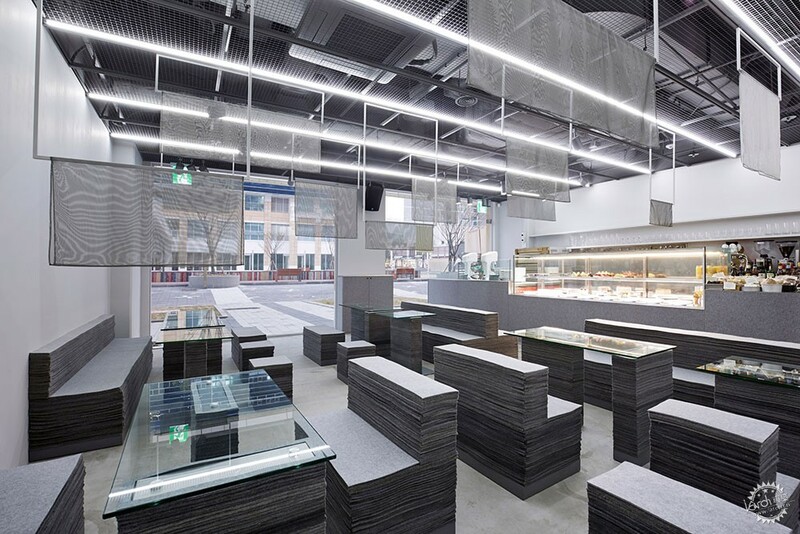 The studio was brought on board to create the interiors for a new branch of the On Ne Sait Jamais cafe chain in Gyeonggi. 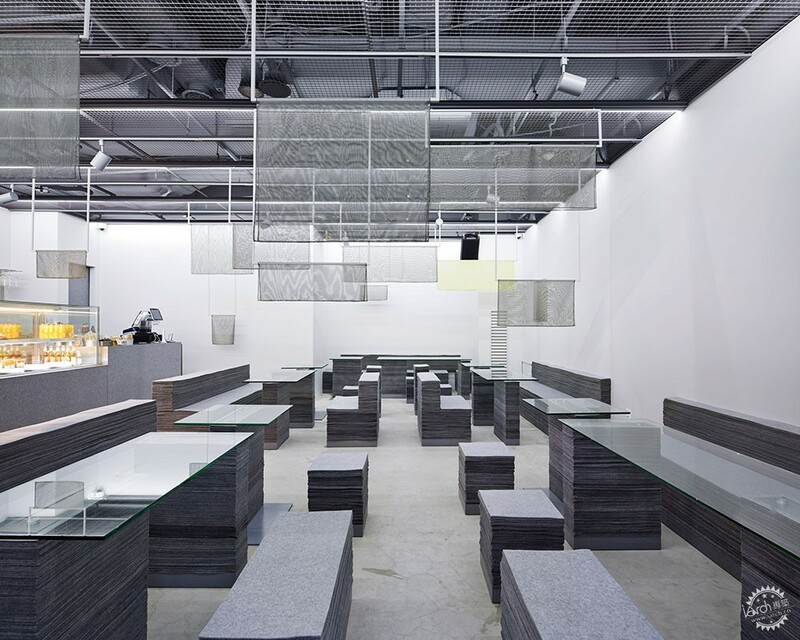 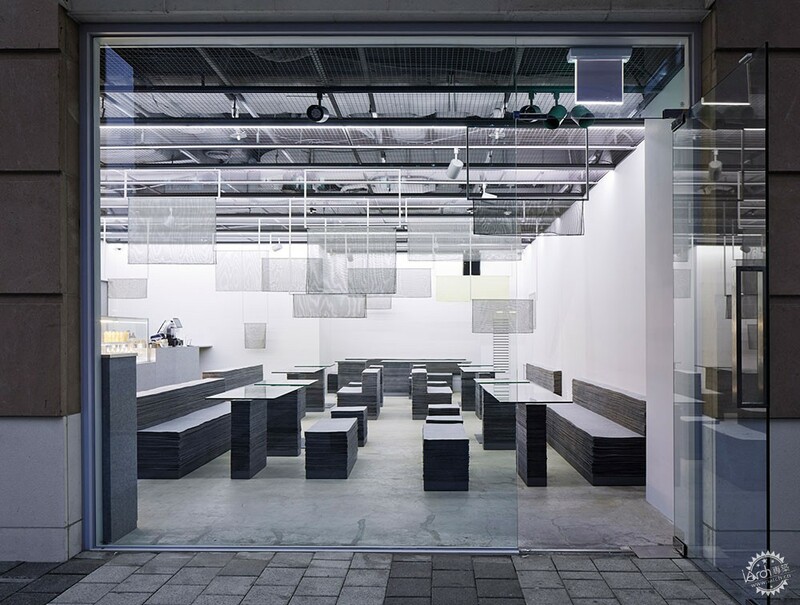 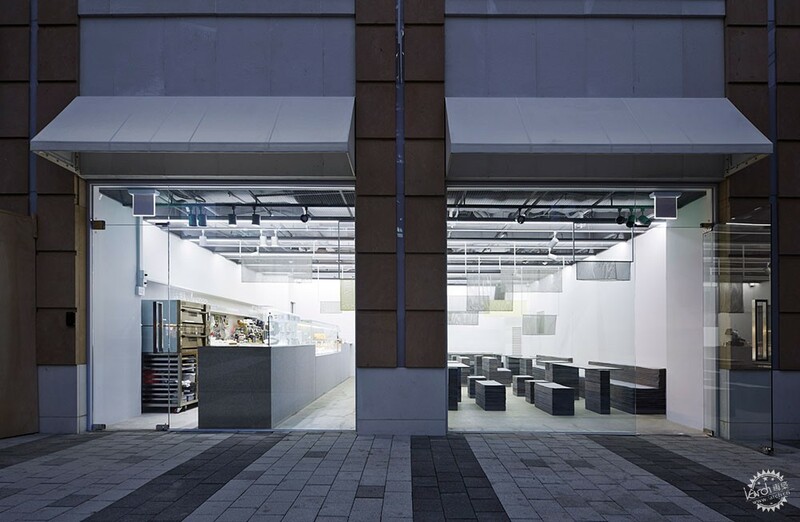 The cafe, the name of which means "you never know" in French, is fronted by a glass facade and has white walls with a polished concrete floor. 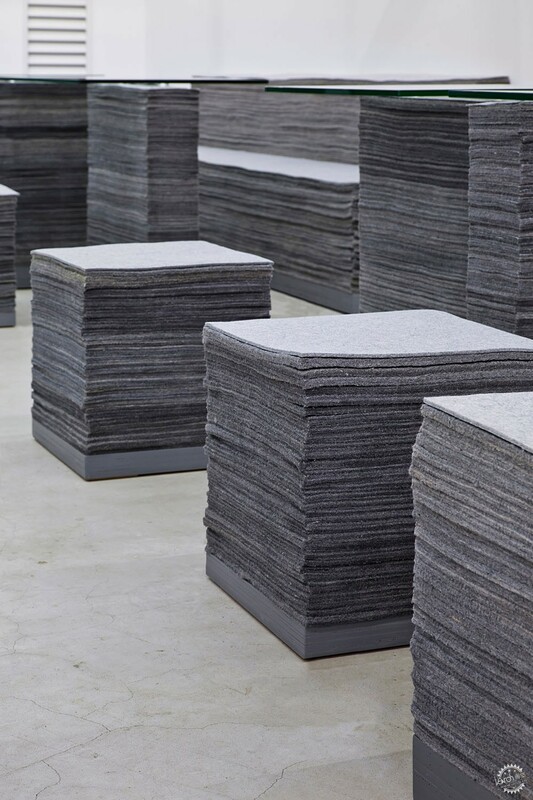 When deciding how to furnish the space, the architects devised a method of stacking thin layers of grey felt to create stools, benches and table legs. 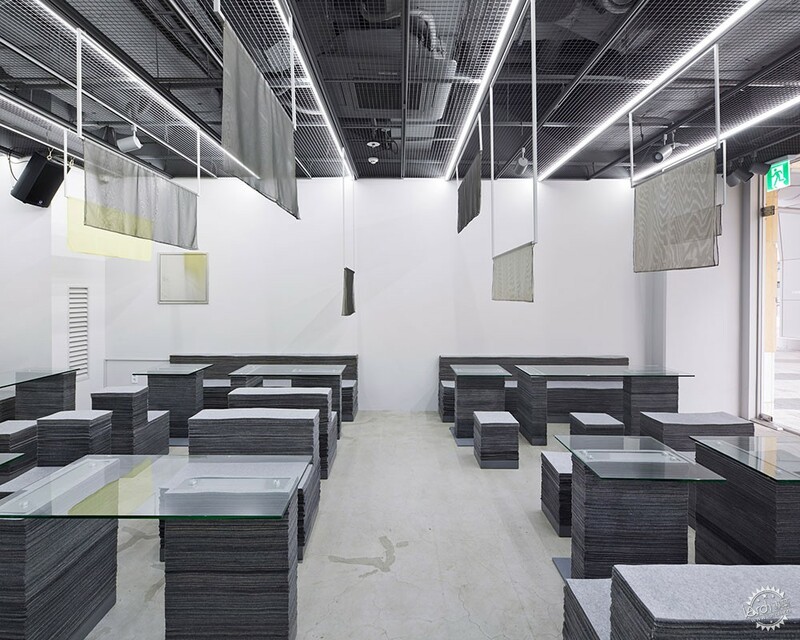 "Stacking this felt fabric reinforces its natural flexibility and satisfies simultaneously the function of a substantial furniture," said the studio. 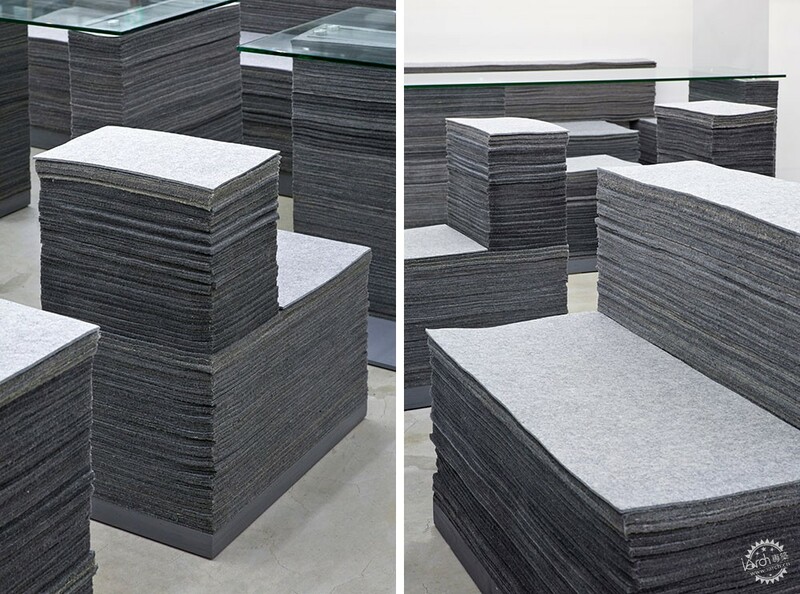 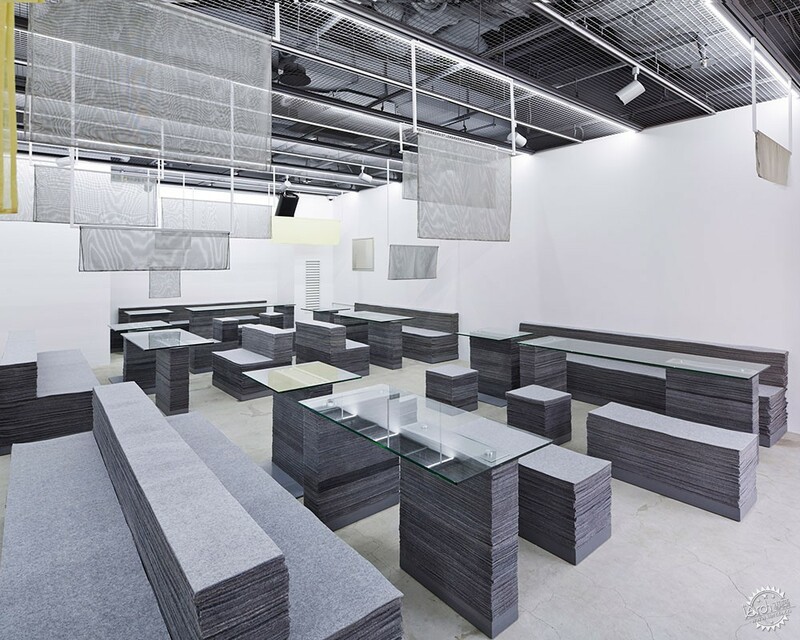 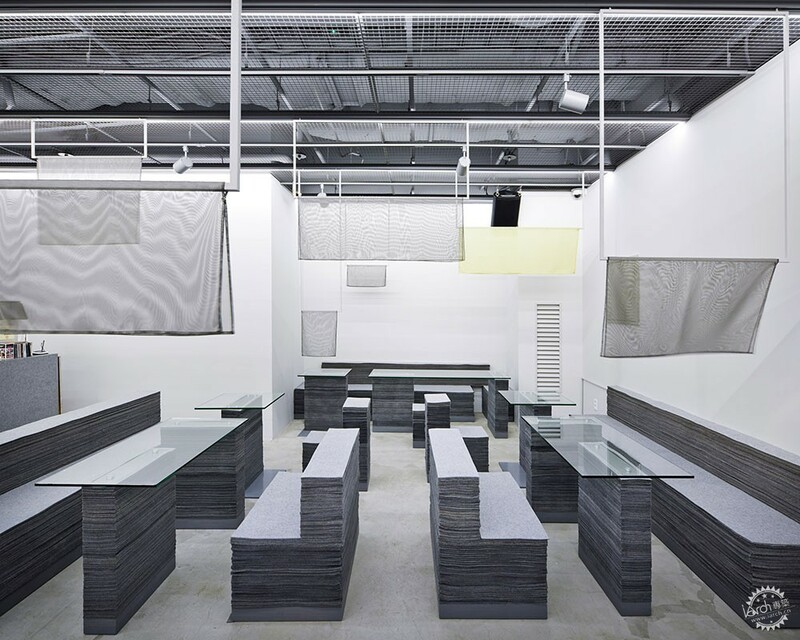 "The mass of felt made by stacking fabric via a simple and primitive act provides the heaviness like concrete mass." 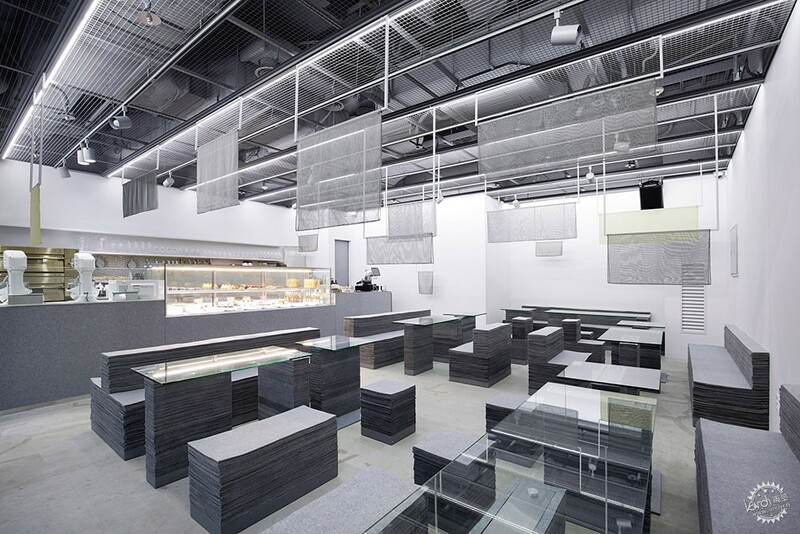 A steel grid attached to the ceiling incorporates a rail with moveable lighting fixtures, which can be slid up and down to adapt to the cafe's number of uses. 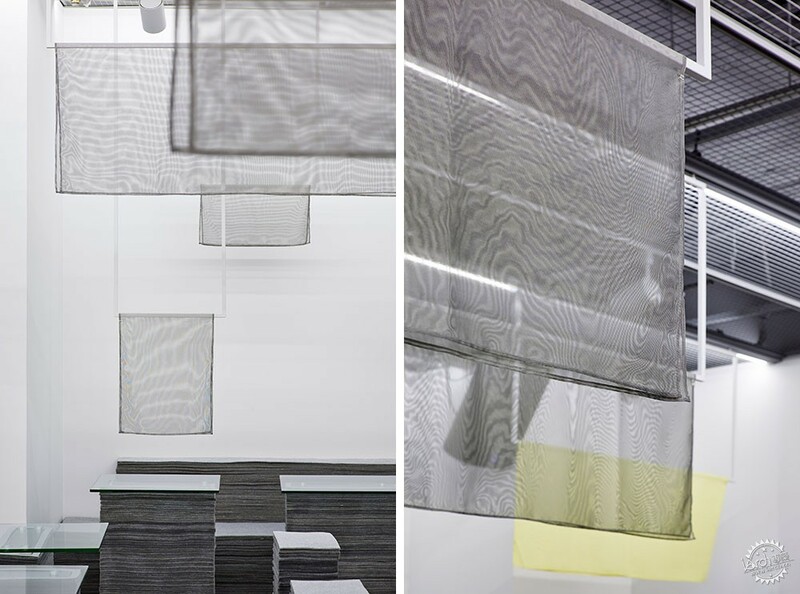 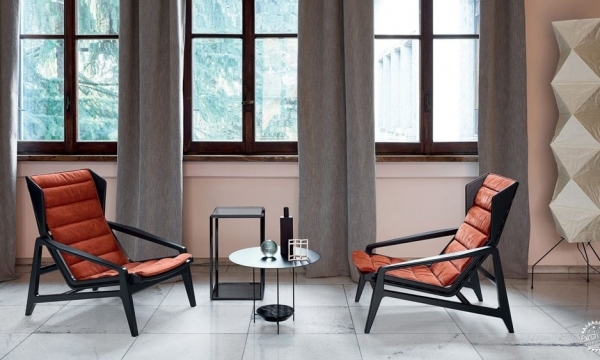 Pieces of delicate translucent fabric also hang overhead and are intended to contrast with the heaviness of the felt furniture. 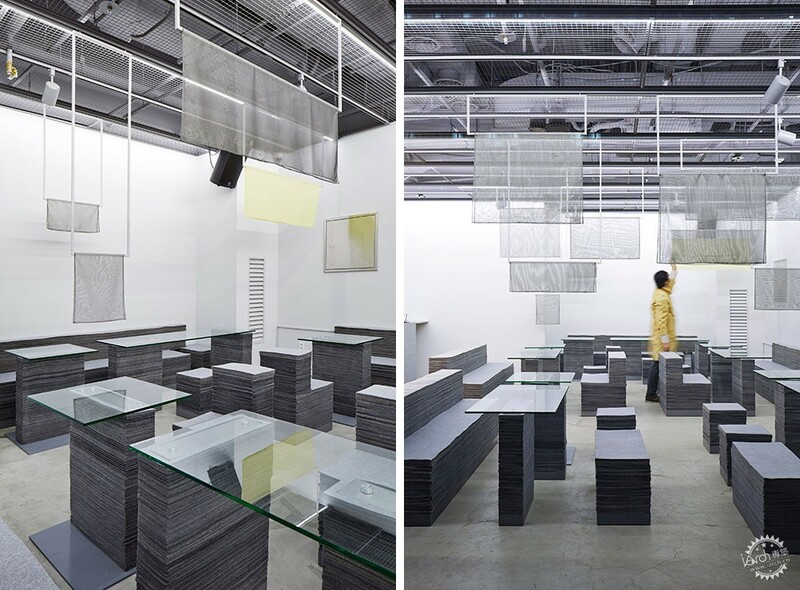 "The fabric hanging from the overhead structure is a very delicate translucent fabric, which is distinct from the felt fabric at the bottom space," said the architects. 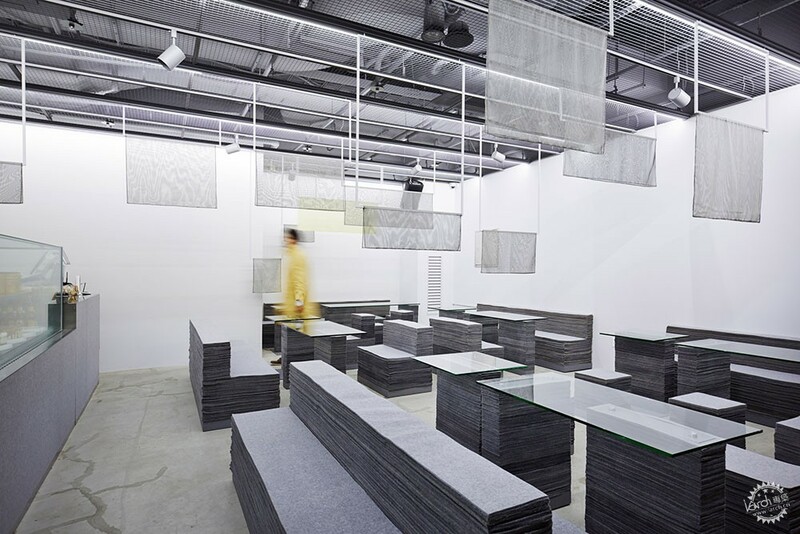 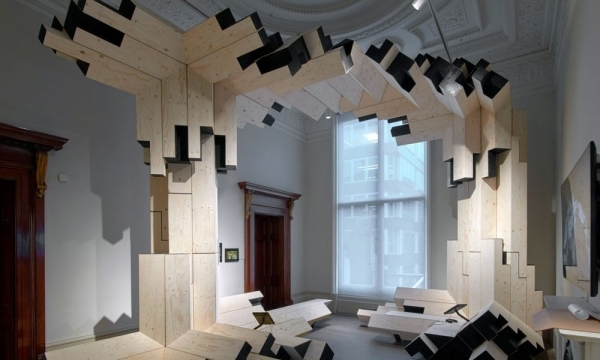 "Being different from the heaviness of the stacking felt, the floating fabric provides sensitive movements in response to behaviours of visitors and micro airflow." 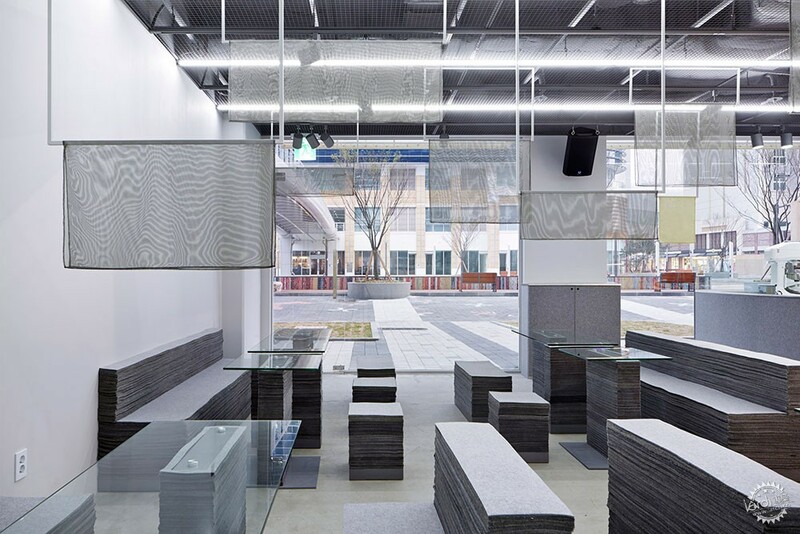 Nameless Architecture has offices in both New York and Seoul. 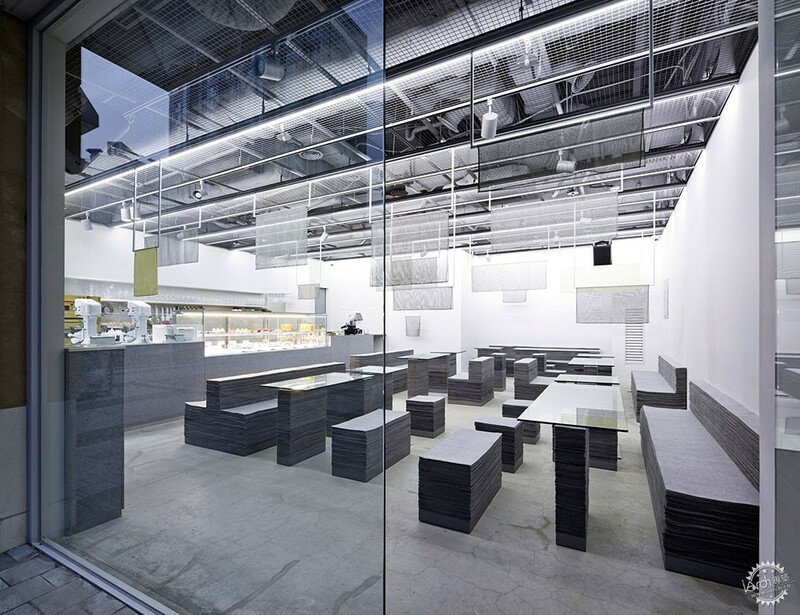 Other works by the studio include a cross-shaped church and a school with a triangular courtyard. 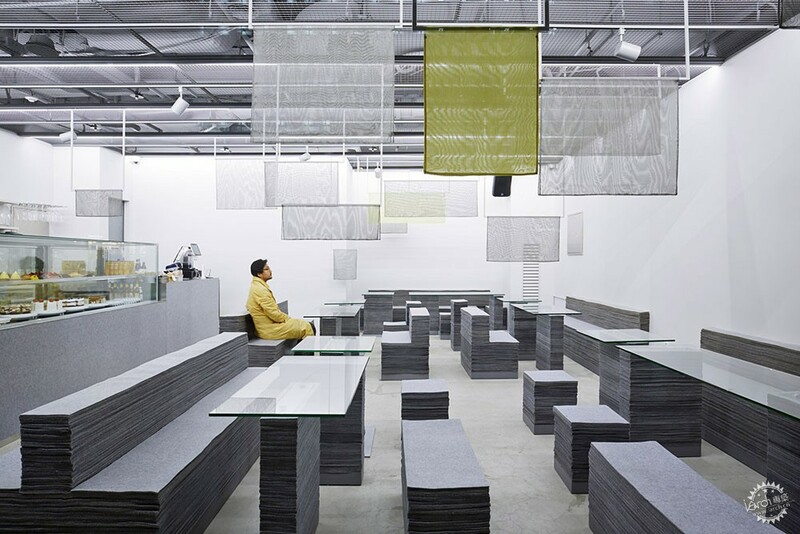 Photography is by Kyung Roh.